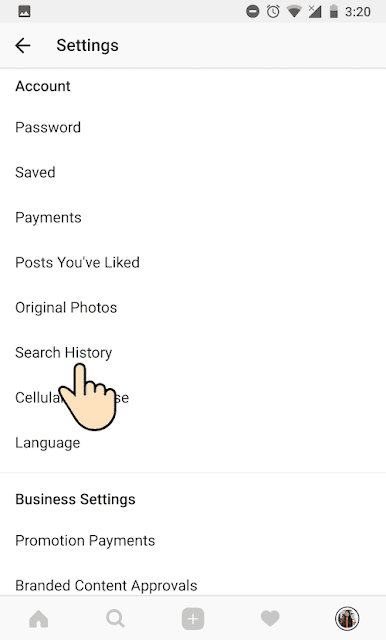 If you want to clear your Instagram's Search history in the Android app then all you have to do is go to the settings and hit Clear search history under the Search History settings. That way you will clear the history of all the searches that you made through your app. Removing it will certainly help you hide some embarrassing, unwanted or private searches. Go to your profile by tapping on your picture thumbnail in the bottom-right. Scroll down and tap on Search History under Account heading. The thing is that it is not over with clearing just the search history. You also have to clear the suggested search option. 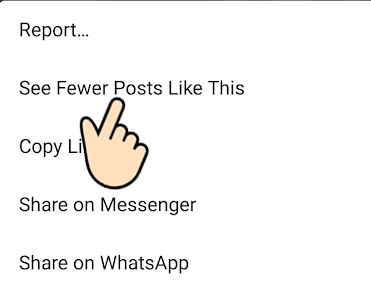 These suggestions are the ones that the Instagram app things that you may like. It is based on your past searches and activity around the app. So, it might contain embarrassing things that you want to hide. However, You can't clear all the search suggestions at one go (like how you cleared the search history). You will have to remove individual items from the suggestions. The way to do it is by long pressing a search suggestion and tapping on the hide option again and again. That'll do the trick. The same trick also applies to the main search page in Instagram. It is the page that you will get to once you press the search button. There you will find pictures listed with a few videos on the side. You might want a certain picture by a certain somebody to be removed from that page forever and never see any more of her posts. For that, you will have to tap on the picture and let the full view open. Then tap on the options and hit the See Fewer Posts Like This option. That'll show you less of the same person and remove similar photos from your search page. So, in total, there are three tricks that we know of that will help you remove posts from a certain somebody.